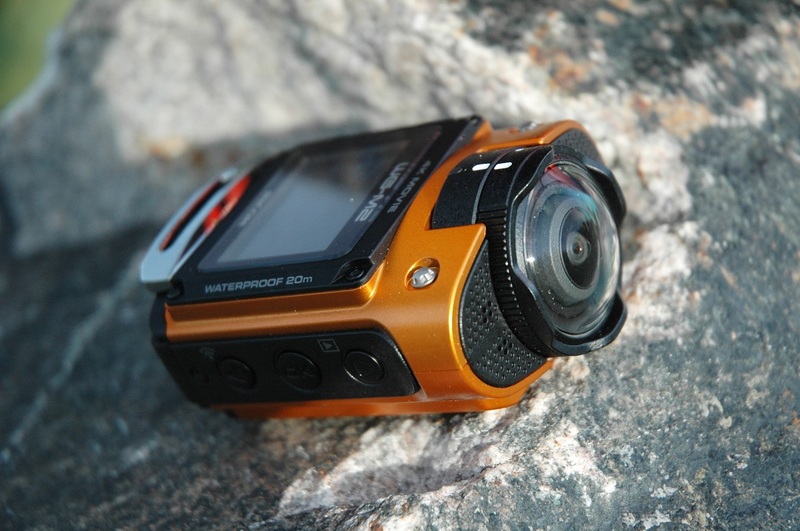 A new challenger enters the fiercely competitive action sports camera scene. Where countless have failed GoPro’s performance, Ricoh sets itself apart at a fraction of the cost. 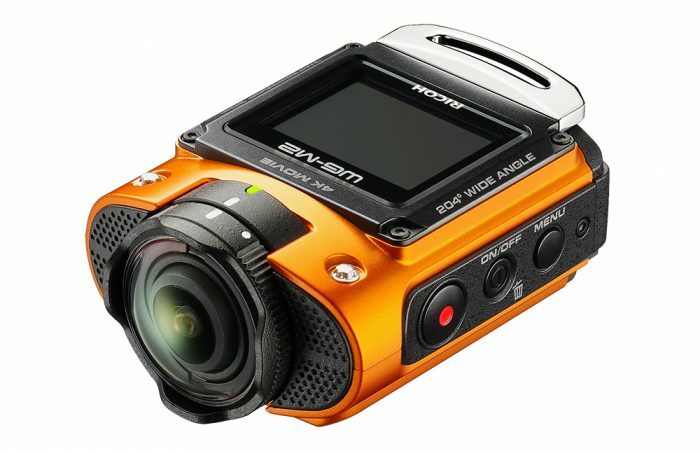 With 4K, 30 frames per second recording capability, and extremely wide angle shooting up to 204 degrees, the Ricoh WG-M2 is a cheaper alternative to expensive GoPro cameras. Ricoh is renowned for its line of Pentax SLR cameras. If the new WG-M2, released in April, can muster the longevity and quality Pentax is known for, the WG-M2 will be a worthy entry into the POV market. All footage in this article below was taken with the Ricoh. Overall, after swimming, mountain biking, and some time-lapses I found it fun and intuitive to use. It evoked similar feelings to when I first started playing around with a GoPro. An action sports camera review simply would not be complete without a comparison to the action sports video titan. For context, we paired the WG-M2 against GoPro’s most comparable camera in price and quality, the HERO4 Silver. Where the Ricoh WG-M2 really stacks up against GoPro is its 4K/30 fps video quality. GoPro’s top performance camera, the HERO4 Black, has the same highest programmable quality at 4K/30 fps — only the GoPro is $200 more expensive. Another standout feature is the WG-M2’s in-camera video editing. Though limited, this feature is unique to Ricoh. Its built-in LCD screen lets you slice and save still images. This saves precious editing time for those looking for quick video turnout. The limiting factor with Ricoh is a lack of high fps and high-quality shooting modes. 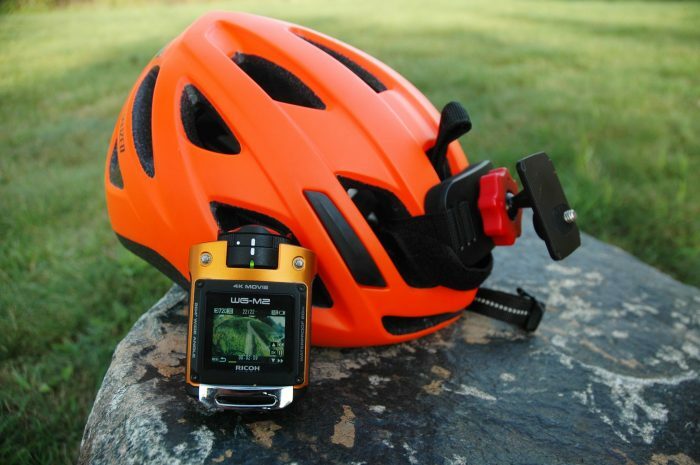 Again, for the price, it holds stride with GoPro. But GoPro’s leading performance camera has 60 fps at 2.7K, creating exceptional differences with clarity in high-speed movement. Ricoh’s highest programmable quality for slow-motion is 720p at 120 fps, resulting in some pretty grainy footage. I did most of my shooting in 1080p at 60 fps and was content with the quality. I think it is easy to get swept away with the thought of 5K, 4K, or 2.7K as the only possible mode to shoot in, but just a few years ago 1080p was the standard. Ricoh only offers additional housing units as an accessory, but they may not be necessary; the camera itself is waterproof. Paired with the detachable/submersible wide angle lens, this camera can dive down to 66 feet, no problem. The Ricoh can withstand falls up to two meters without housing. 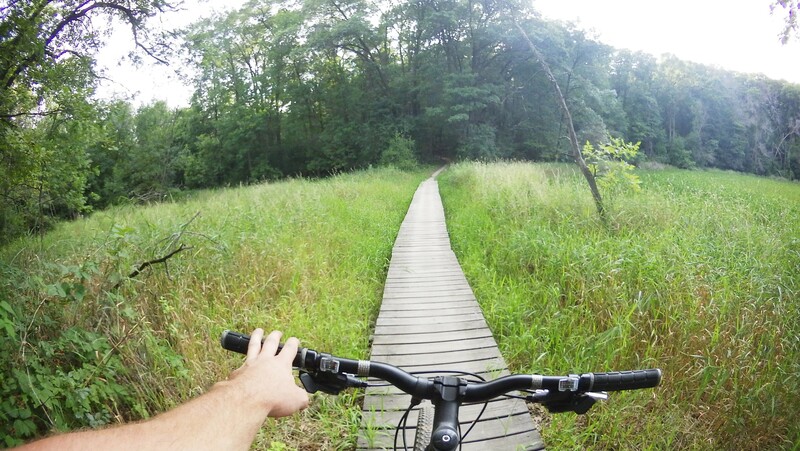 In general, GoPro cameras are rarely used without durable, shock-proof cases. I found the mounting device to be extremely secure with no wiggle. I was able to twist and fix the camera with as much force as I could muster. Overall, I would say it fixed tighter and more comfortably than GoPro’s screw mechanism. For now, Ricoh WG-M2 mounts are available in select retail stores or on its website. They plan to revamp their e-commerce site and be ready for fall 2016. Example Still from Photo Shoot Mode. Definitely a video-centric camera. I tested the camera for a 3-hour mountain bike ride and did not run out of battery! Throughout the ride, I took a bunch of videos with different settings, played around in the menu, and watched some of myself on the LCD screen. After my test, I was pleasantly surprised there was still some battery left as I know the GoPro can drain battery with the screen on. The company claims the battery will last 80 minutes shooting 4K video (this is battery, not memory), or 160 minutes of playback. Verdict: Should You Buy The Ricoh? When it comes to cameras, you get what you pay for. Those interested in a video camera for random adventure outings to show family and friends can save a lot of money with Ricoh. However, if the highest quality is what you’re after and money’s not a concern, GoPro remains king. No humans were harmed in the making of this article.